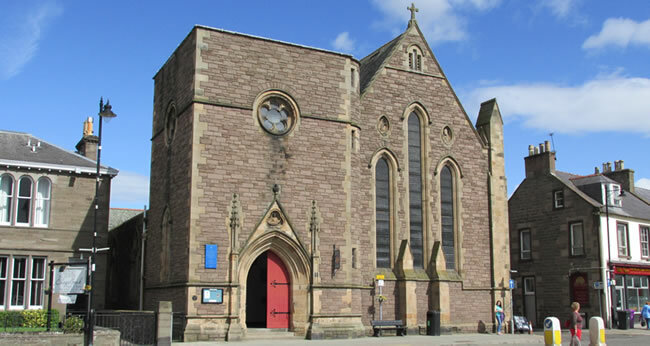 St John’s draws its congregation from the people of Forfar itself, nearby villages such as Letham and Padanaram, and the countryside of Angus and Perthshire. Some families have been associated with St John’s since the 18th Century. In recent years, a number of new members have joined – mostly people who have come to live in this area of Scotland from other parts of the UK, and whose different backgrounds and experiences have greatly enriched our Church family. All will bear witness to a very friendly and welcoming congregation. Come and meet us, come and share our worship and companionship. You, your friends and family will be made most welcome. The church is open every day from about 9am to 2pm for prayer or just to look around, and you can find out about services on the relevant page.